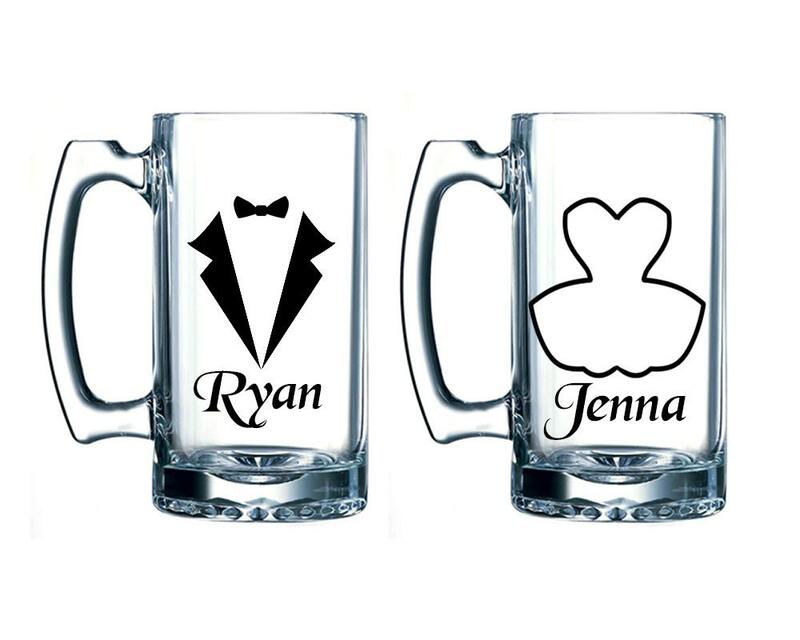 Pair of beer mugs for the bride and groom- perfect for bridal showers, engagement announcements or to use on the big day! Each sturdy glass features a tuxedo or dress plus the name of the intended. 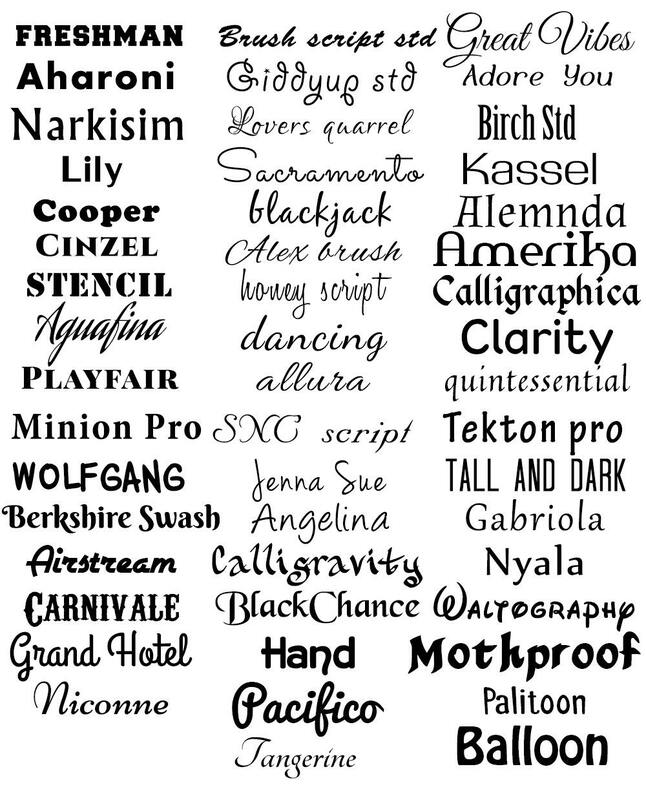 Choose your color and font- makes a great gift! 26 oz Clear Large Beer Mugs, or other beverage of choice. Please note: the dress does not actually have a black outline, this has been put into the image to help show better against the white background. 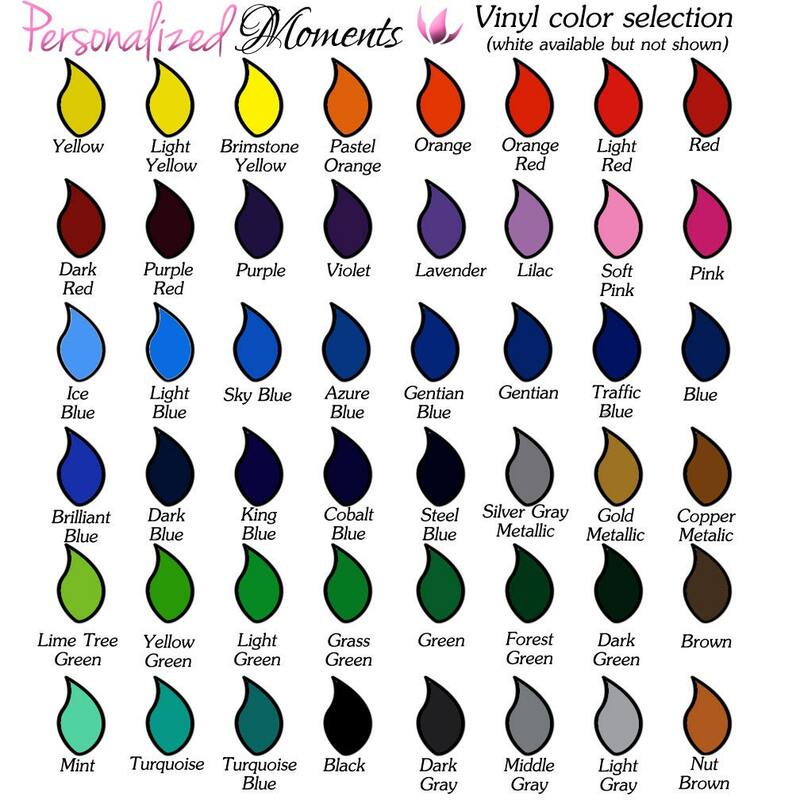 Select the quantity you're looking to purchase, shipping is calculated automatically! Please include the following in the message to seller during checkout- this box will appear upon clicking the "add to cart" button.